If you have a limited budget or are not drawn to putting a lot of time into the creation of your ceremony, then I offer a basic ceremony that has basic personalization and simply requires a quick phone or in-person meeting between the three of us to prepare. This kind of ceremony works for any wedding setting - intimate or grand, outdoor or indoor, planned or elopement. 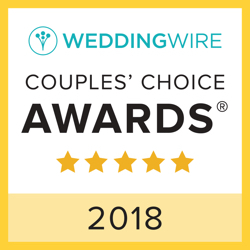 The ceremony itself incorporates one of a selection of pre-written openings which you can choose based on your personality as a couple, plus we choose the words that most fit you when it comes to your "I Do's", your vows and your ring exchange. We also incorporate your spiritual or non-spiritual preferences. Pricing: I offer the Basic Custom Ceremony in a nice neat little package for $300. If your rehearsal is not on the day of your wedding, there is an additional fee of $125. You are also welcome to add Custom Ceremony elements a la carte if you like - you can learn more about those on the Custom Ceremony page. A modest travel fee applies for any location 30 miles beyond my Boulder, CO home base. For last-minute, spontaneous ceremonies, the fee is $200 to simply show up and officiate without having pre-planned anything. • Meeting to personalize your ceremony. • Officiation of your ceremony on the day of your wedding, with arrival one half hour before your ceremony to help with any wedding processional logistics, and to generally be there as a support. To chat about your ceremony and see if we're a fit, you can contact me at 303-842-4321 or fill out the form below to send a message. After that, we'll meet either on the phone or in-person to explore how we might work together. Looking forward to getting to know you! Other Wedding Links: Highly Customized Ceremony, Wedding FAQ's, Wedding Home Page.